Except the pan pipes guy. 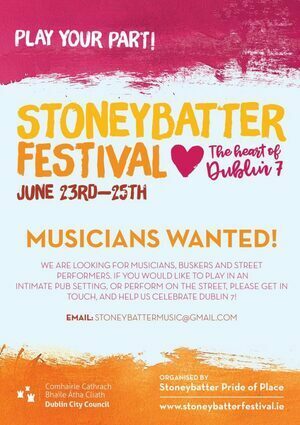 Posted in Misc and tagged Stoneybatter Festival at 2:15 pm on May 25, 2017 by Broadsheet. Doesn’t matter if you’ve never played before, since it’ll be all hipsters who have already heard you before.